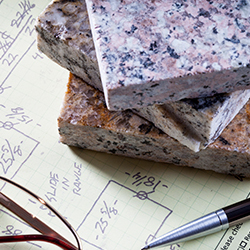 An affordable high-end look and natural durability help make traditional granite the top countertop material choice for discerning homeowners planning a remodeling project from coast to coast. Each slab of natural granite will display grainy variations in both pattern and color, meaning that a remodeled bathroom or kitchen will never have a doppelganger in the neighborhood. 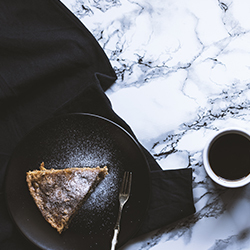 Marble is the perfect countertop material choice when a homeowner favors an opulent look but is not willing to sacrifice warmth in favor of sophistication. The material which has natural variations in crystal composition is ideal for installation on a room focal point, like a kitchen island or a separate baking center. A natural quartzite countertop is the way to go when it is time for a look that is unequaled but still immensely popular for your countertop material choice. The tough material allows you to bring the durability found in granite and the sophisticated look found in marble into your building or remodeling project. The only real drawback is that quartzite color options tend to be limited to white or gray, unless an impurity like iron oxide has impacted the slab to make it pink or reddish in hue. 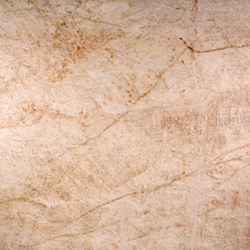 Mineral impurities can also create a slab that contains hints of blues, greens and rich earth tones. No matter if you plan to remodel your kitchen or bathroom, or build a new home, beautiful engineered quartz countertops are a must. 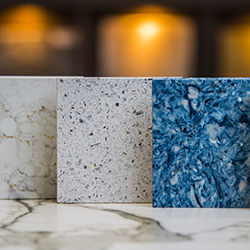 Marry science with nature and you end up with engineered quartz, a countertop option that is has been proven more durable than traditional granite. The non-porous nature of quartz also means that it does not need to be sealed one-time per year like granite. If durability quartz and simplified upkeep have left you unconvinced, it is important to note that it is available colors and natural patterns which make it a favorite with homeowners from coast to coast. Break away from traditional marble and granite with the sleek and modern look of premium onyx! The material is formed when stalactites and stalagmites drip to form the strikingly dramatic stone. 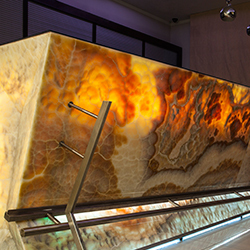 It is well worth noting that onyx is translucent, meaning that there are opportunities to add a unique backlit feature when finishing your kitchen or bathroom. Onyx available in swirling and pastel color patterns.